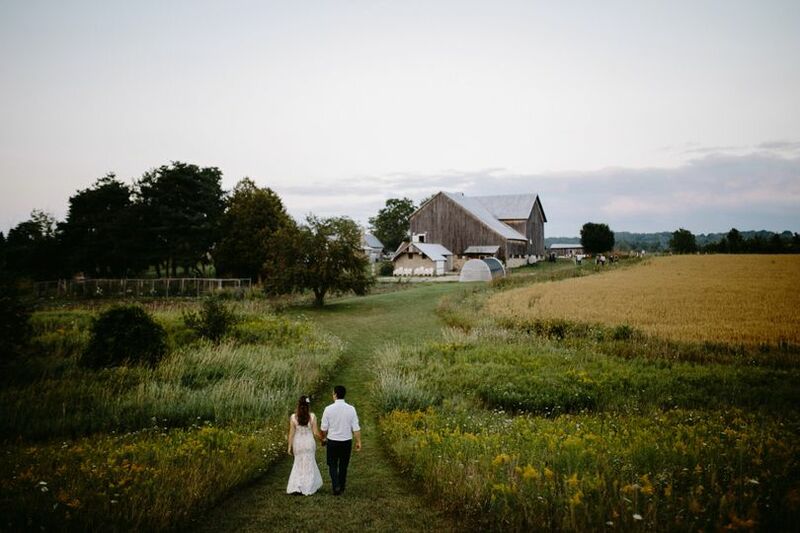 Dhaseleer Events Barn is a wedding venue located near Charlevoix, Michigan, and a charming destination for your special day. 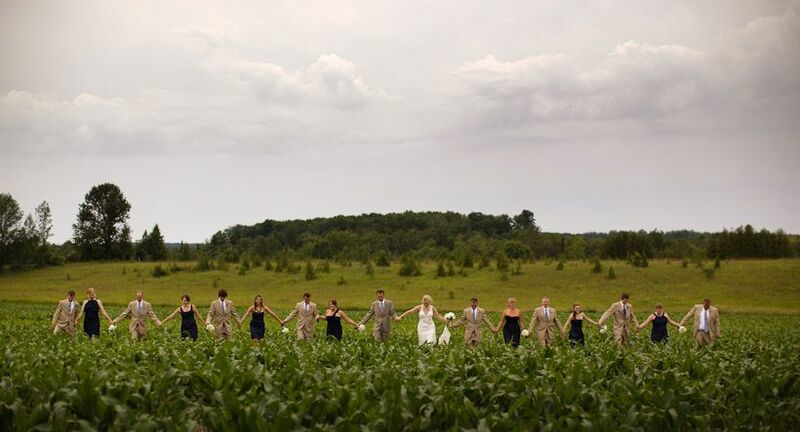 The Dhaseleer farm, founded in 1874, has transformed into a wonderful wedding and event location. Nestled in a quiet valley of rolling hills just three miles south of town, the farm operates as a vegetable and fruit farm supplying local restaurants and farmers markets. 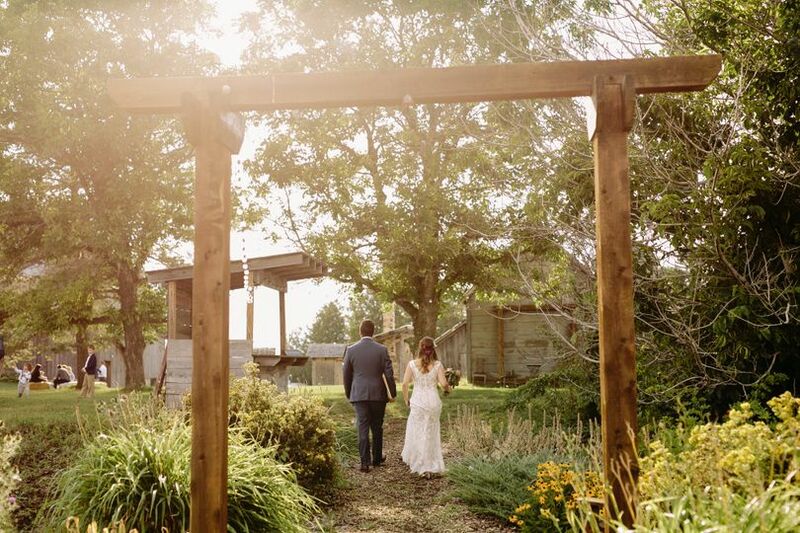 The Events Barn has hosted weddings and events for 15 years, welcoming guests to celebrate the good things in life.  The large farm yard with rustic outbuildings, flowers, paths, gardens, and farm fields create a relaxing atmosphere that makes everyone feel at home. Book Dhaseleer Events Barn and enjoy your celebration. 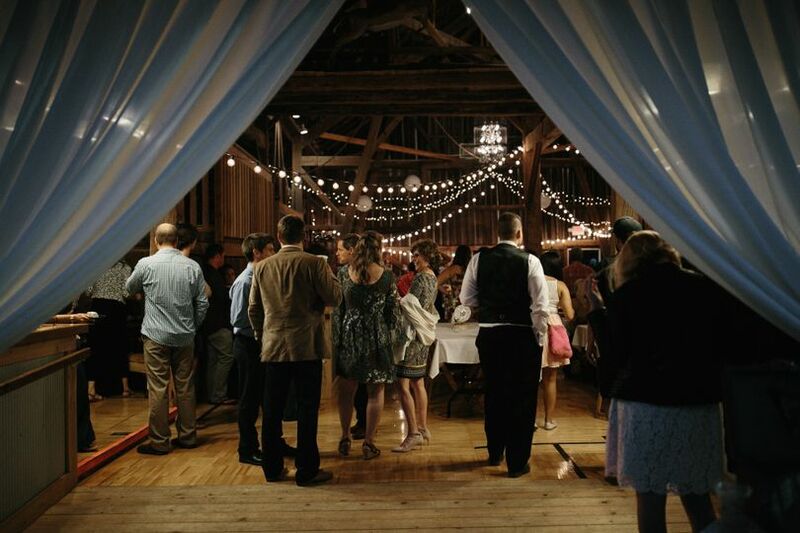 Dhaseleer Events Barn seats up to 200 guests, the ideal number being 150. 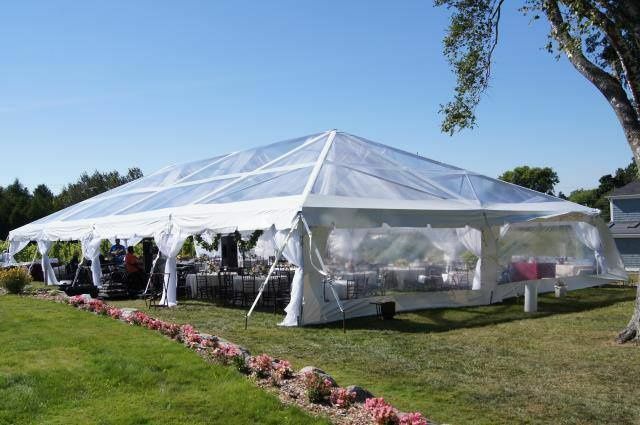 They have a sizeable space next to the flower garden for adding a dinner tent for larger parties of up to 500 guests. This works smoothly as dinner ends and guests move to the barn for the second phase of the celebration. 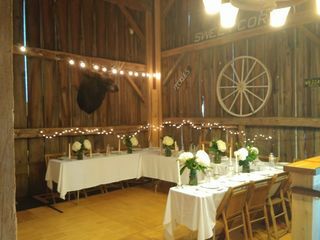 The hardwood dance floor can be kept open and half of the barn set with tables. 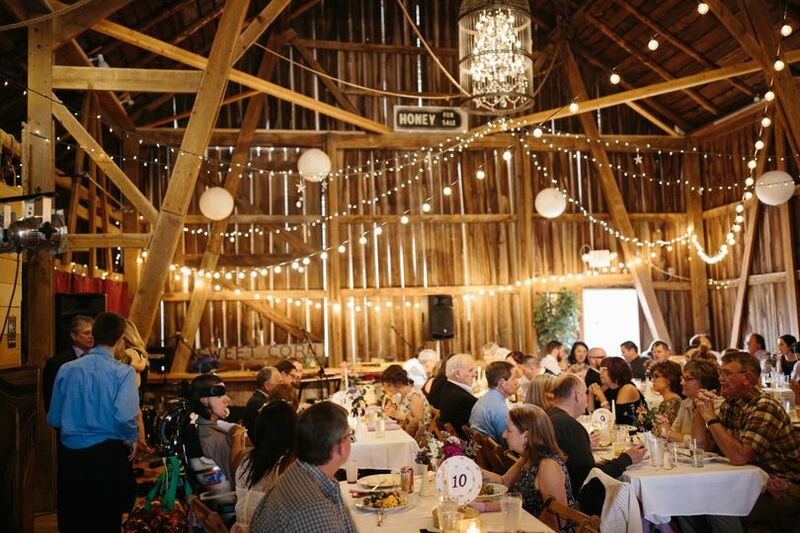 The Events Barn features a wheelchair-accessible entrance and bathrooms, a built-in bar area, a furnished loft for visiting, a dressing/waiting room for the bride with its own bathroom. A kitchen area with refrigerator, electrical outlets, and two double sinks makes preparing meals very straightforward. 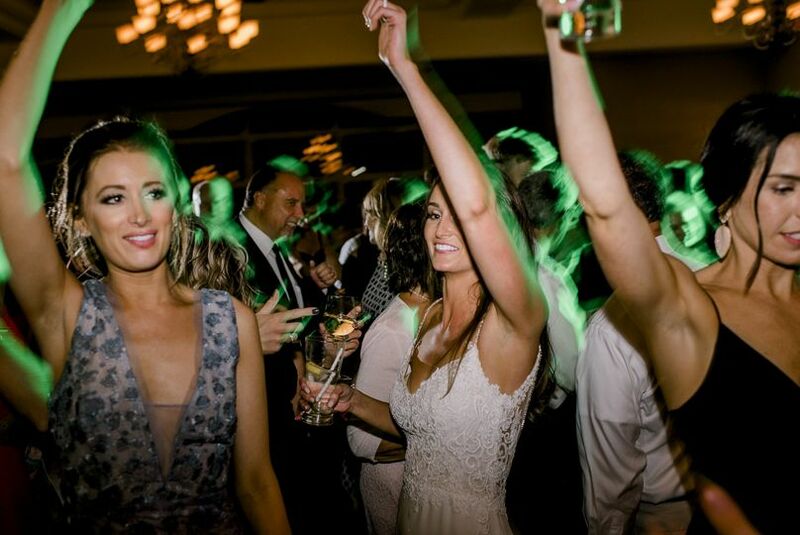 With a smooth hardwood floor for dancing and receptions, a back sunset view deck and staircase, wagon wheel and birdcage chandeliers, and white light strings across the dance floor, you will have everything that you need for a superb day. 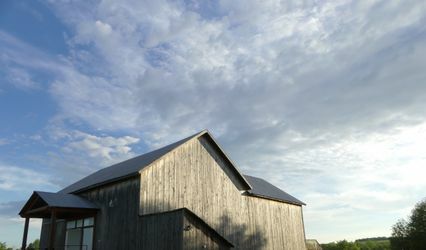 An on-site private cabin, overlooking the farm from the nearby hill, is available to rent between April 15th and October 30th. Camping and RV parking options are also available. 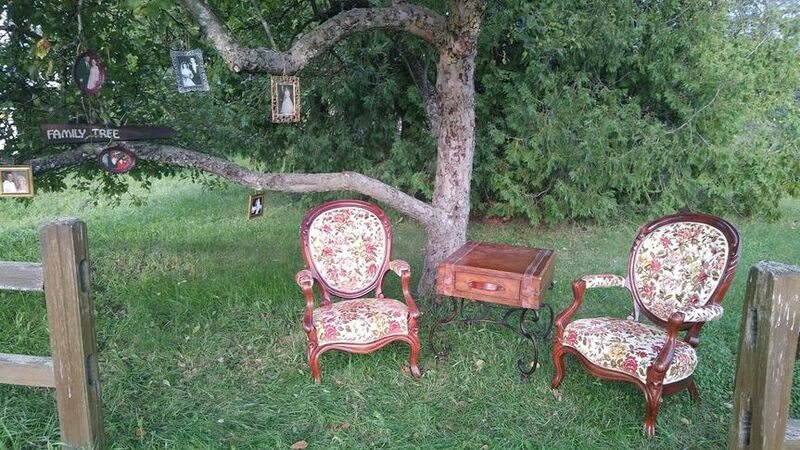 The homestead and barn date back to 1874, and have been in the family since 1925. 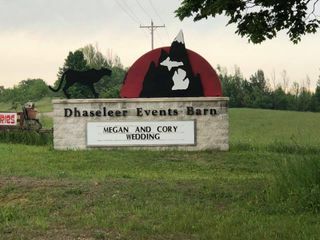 The current owners have worked towards a sustainable farm since 1994, opening the Dhaseleer Events Barn in 2005. 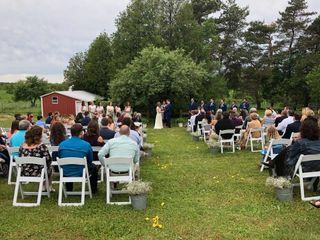 Dhaseleer Events Barn is less than four miles from Charlevoix Airport and less than four hours’ drive from Grand Rapids. We had our wedding reception here in September 2018 and it was phenomenal! 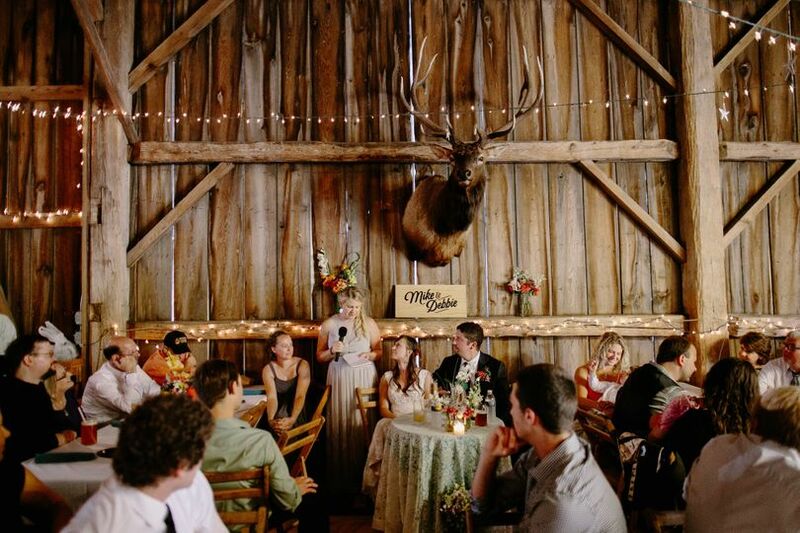 We had a rustic/eclectic theme and this barn was perfect. We got so many compliments from family and friends about the comfortable and laid back atmosphere. 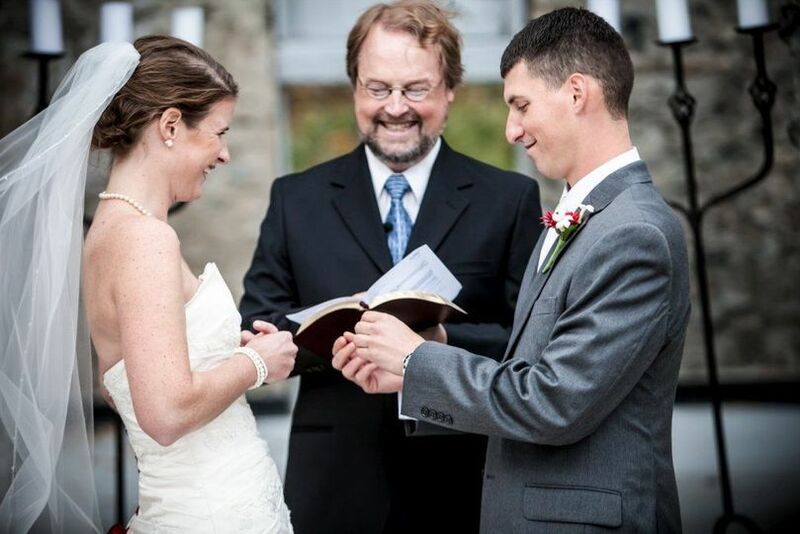 The owner, Carl, was very responsive to our needs and let us visit numerous times leading up to the wedding. The best part was that we were able to have the barn all weekend, which gave us plenty of time to decorate/set up and take down the next day. There is a huge amount of parking and yard space that we used for appetizers and yard games before dinner, guests could even take a small walk on the property. Carl is very open to letting couples use their own ideas within the barn also! The only negative thing was a lack of refrigerator space but that was a minor detail for us. 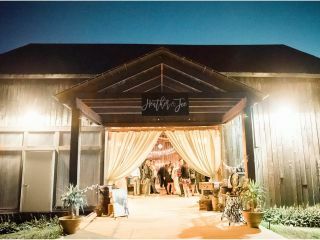 Overall I found this venue to be fantastic, especially since it is the least expensive in the area! Thank you so much to the Dhaseleer family! Carl was wonderful to work with. We had our wedding on the farm and he was accommodating if every dream we had, including our dogs being there! The venue is beautiful and affordable. If you’re looking for a carefree, relaxing, calm vibe for you and your guests, we highly recommend Dhaseleer. It is what dreams are made of. We absolutely loved having our wedding reception at Dhaseleer. 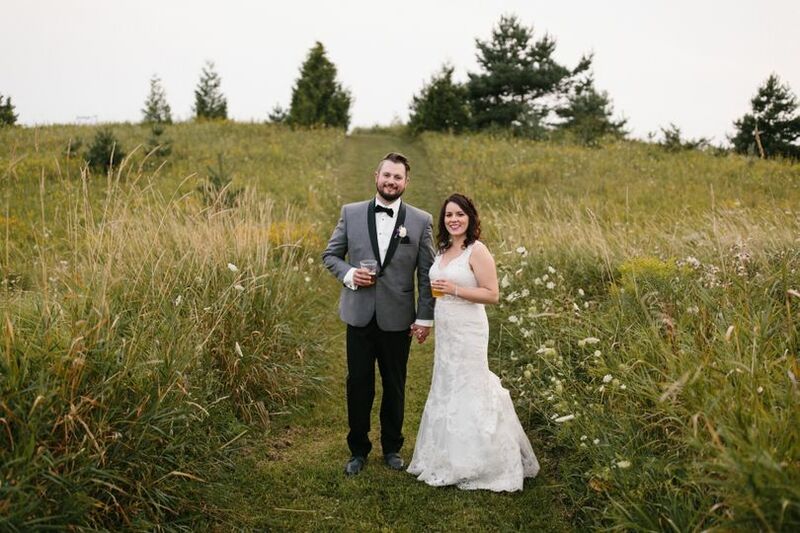 Carl and his wife were very accommodating, we planned our wedding from overseas and Carl opened up the barn for us in winter while they were closed to let my family and fiance to preview the venue while we were visiting during the holidays. 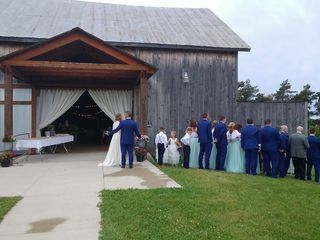 The barn is a perfect space for a summer wedding, we had outdoor lawn games, wedding photos taken in their flower gardens, and the space was perfect for our reception dinner and then a night of dancing. 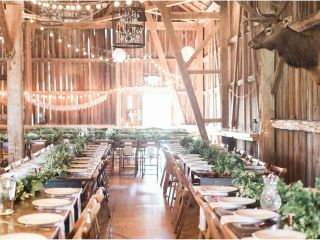 The interior of the barn looks magical with the lighting and little touches they have around the barn. 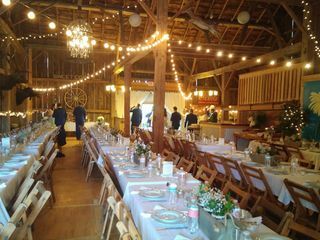 Definitely recommend if you're looking for a barn venue in Northern Michigan. Spring is fast approaching and you wish to find an affordable venue for this summer? Get 20% off wedding and reception package for up to 150 guests. Other discounts & offers do not apply.